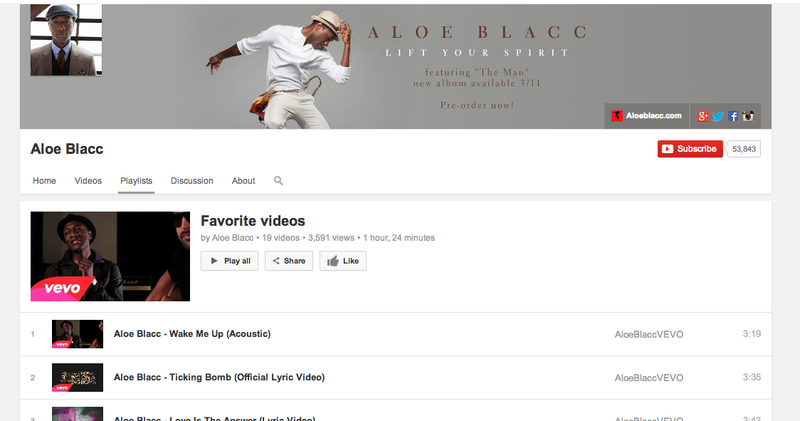 Want to quickly find your playlists or save Aloe Blacc’s favourite music videos playlist? Your guide now has all of the playlists that you’ve created, as well as playlists from other channels that you’ve liked. If you make a playlist, you’ll also see a new page that makes editing easier. And if you’re looking for new playlists to check out from your favourite channels, check out the new playlist tab on a channel like this one from YouTube Nation. YouTube now has a centre-aligned look, fitting neatly on any screen size, and feeling similar to the mobile apps you’re spending almost half your YouTube time with. You can quickly flip between what’s recommended and popular in “What to Watch” like Postmodern Jukebox’s Timber, and the latest from your subscribed channels like iamOTHER in “My Subscriptions”, with both options now front and centre. Click the guide icon to the right of the YouTube logo at any time to see your playlists, subscriptions and more. To learn more, please visit the Help Centre. Do you want to download youtube video easily on Mobile or Computer. Try it now. HI, Can you tell me (or direct me to a post) on how to add the custom tab in my youtube channel? Its a real truth, i also love more on new look of my playlist and after reading your post i can do new purpose. Wanna have more profit from your iPhone. Check this site http://celltrackingapps.com/how-to-track-an-iphone and you would know how to track your friends phone. And moreover, i am merely usually surprised on the point of the very good things created getable from you. a couple of four measurements once this internet registering machine unit irrefutably the only real I even have had.